Quartix is a real-time GPS vehicle tracking and reporting solution for fleets and field service providers. It can be used to track trucks, coaches, vans, and cars using any internet connected device, and helps to manage vehicle maintenance, employee behavior, fuel, taxes, and more. 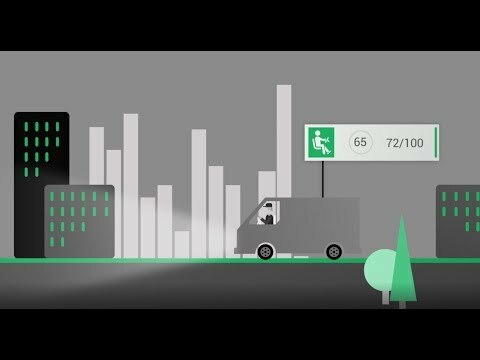 Quartix uses GPS technology to track time and location of fleet drivers, and automatically analyzes the data, generating simple-to-use reports, producing driver timesheets, and more. The cloud-based tool also facilitates geofencing and driver league tables to enable fleet managers to identify areas for improvement and highlight the best performing employees. Real-time vehicle tracking allows businesses to track drivers at any time and monitor routes and timesheets via geographic maps. Daily vehicle logs are automatically generated within Quartix with information on any stops, times of deliveries, total drive time, distance in miles, average speed, and more. Group vehicle reports can also be generated to view entire fleet activity in one report. Users can view reports on average fleet hours, number of overtime hours, actual fuel consumption versus estimated consumption, total driving time, total mileage, and more. Driving style can also be monitored within Quartix with tools including a driver league table based on behavior scores, daily driver briefings related to speed, incidents, harsh braking, and more, and driving style trend reports across the entire fleet. There are currently no reviews of Quartix. Info Point: $14.99/month for driver timesheets, excel reports, support, and mobile app. Info Plus: $18.99/month for all the features of Info Point plus IFTA mileage, driving style, and geofencing alerts. Info Plus & Driver ID: $22.99/month for all the features of Info Plus plus DriverID reader and DriverID key. • Track vehicles and drivers in real time using GPS maps and any mobile, internet-enabled device. Users can track timesheets, route maps, vehicle logs, and more. • Timesheets are generated automatically within Quartix to provide users with information on departure times, arrival times, stops, mileage, fuel usage, total driving time, and more. • Quartix can be used by management to monitor driver’s driving style with reports on issues such as speeding, harsh braking, stoppage time, and general driver behavior. • Management tools such as data dashboards, vehicle maintenance reminders, vehicle utilization analysis, monthly mileage reports, and more help management to stay up-to-date on business activity. • Setup alerts for certain behavior such as speeding, excessive breaking, crossing geofences into prohibited zones, and more. Alerts can be sent in real-time to the assigned users via email. Below are some frequently asked questions for Quartix. Q. What type of pricing plans does Quartix offer? Q. Who are the typical users of Quartix? Q. What languages does Quartix support? Q. Does Quartix support mobile devices? Q. Does Quartix offer an API? No, Quartix does not have an API available. Q. What other apps does Quartix integrate with? Q. What level of support does Quartix offer?